I love when things are so right that they flow effortlessly. My Bowen Island friend Bev introduced me to her long-time friend Cathy. Cathy and her husband had lived in Dhaka for a few years and it was they who connected me with a few folks in the microfinance world whilst I was living in Bangladesh for part of 2014. We have since become fast friends Cathy and I. We’ve discovered much in common which is just delightful. My love for Nepal is known far and wide by now, so Cathy introduced me to a friend of hers Sonnia. Sonnia Karlsson is the founder and Executive Director of a rather neat foundation based in Seattle. 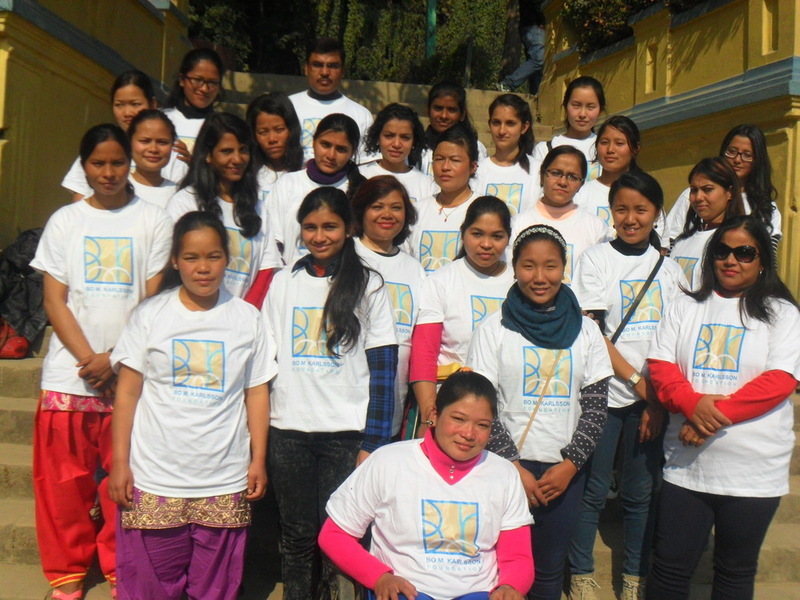 Founded in 2004, the Bo M. Karlsson Foundation – BMKF (named in memory of Sonnia’s late husband) awards higher education scholarships to underprivileged women representing Nepal’s most disadvantaged groups, including caste and ethnic minorities and people with disabilities. Since 2004, 45 such young women have benefitted from these scholarships, some of whom rank among the first women in Nepal to work in their fields, including credit union manager Bhim Kumari ’14, electronics engineer Sarita Sharma ’14, and renewable energy expert Grishma Manandhar ’11. Incredible eh? Throughout my professional career in investment management, I’ve been a strong proponent of supporting and encouraging young women to further their careers in what is really a tough-to-navigate male-dominated environment. Planning what I was going to do while working with Spinal Injury Rehabilitation Centre (SIRC), Nepal in 2013/14, I was determined to include a coaching component to my work there. This resulted me in hiring three interns from an MBA program, two of whom were young women. During that time, we each learned a lot from one another and I like to think we are all better for the experience. Bearing this in mind, it wasn’t really much of a leap for me to very much admire the work of Sonnia and her team at BMKF. It was Sonnia’s idea that some of the BMKF scholars should visit SIRC. You see, when Kanak Mani Dixit, Shanta his wife and a group of friends set out to create Nepal’s first SCI rehabilitation centre in 2002, the group decided to hire a 23-year-old young lady to head up the centre, and bring into reality, the dream of providing SCI rehabilitation to anyone who needed it, whether they could pay for it or not. And to stem the high percentage of spinally injured people, from dying needlessly at home. 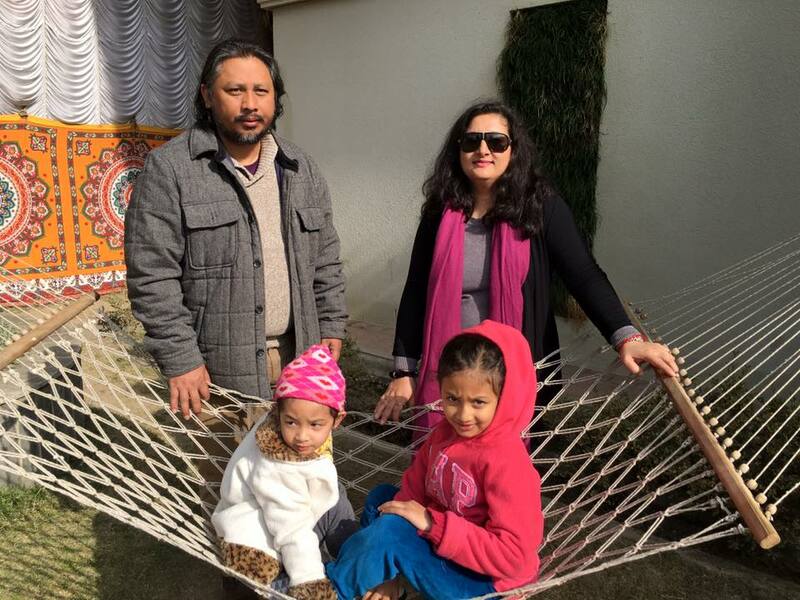 That young lady was Esha Thapa Dhungana, and 14 years later she is SIRC’s Executive Director, wife to Kiran and mother to two beautiful daughters Aahana and Avika. Esha is not complacent about the opportunity the board gave to her all those years ago, and their strong belief that she could do this. And do it well. In a country where things are changing slowly and women are being treated as more of an equal to men, Esha laughs when she tells me her eldest daughter Aahana thinks Esha is a doctor and firmly believes her mother can cure anyone. Aahana does not know anything different, she sees her mother as a leader, Esha Madam at SIRC and just accepts that as normal. Isn’t that wonderful?? Aahana is growing up not knowing what a glass ceiling is, and truly believing she can be anyone and do anything she wants. 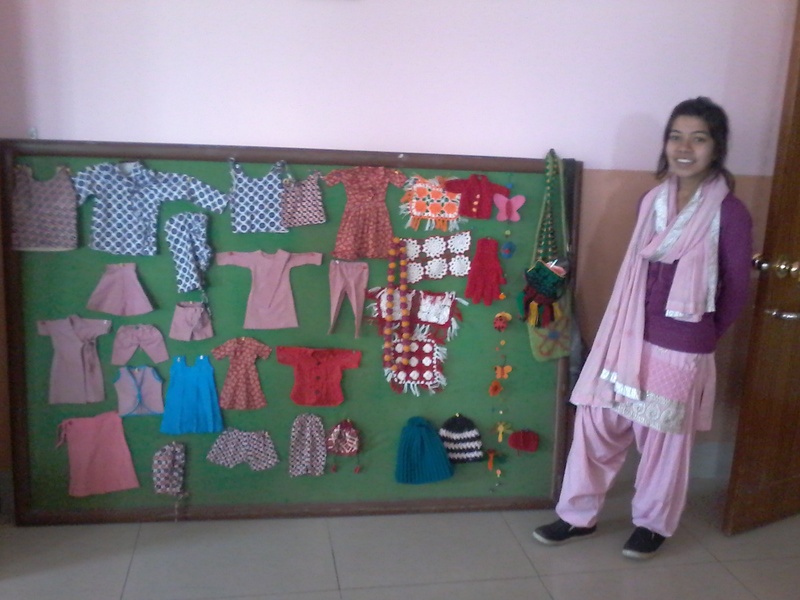 To my mind, what SIRC’s Board did for Esha all those years ago and what Esha and Kiran are doing for their two daughters today, is exactly what BMKF are doing for the next generation of women in Nepal. BMKF scholarship recipients become confident, self-reliant, productive citizens in their communities and country, irrespective of their gender. When Sonnia proposed the BMKF scholars should visit SIRC, Esha and I jumped at the chance. Within a short space of time, it was arranged for Sabita Tamang Ghising, BMKF’s Program Manager (and BMKF alumni by the way) to accompany eight BMKF scholars in their visit to SIRC last Sunday. Early afternoon, they travelled by private taxi from Kathmandu to Bhainsepati where SIRC is located, and at the end of the day travelled back on the SIRC staff bus … when many of the group experienced for the first time, the finessing needed to fit multiple wheelchair users and able bodied staff safely onto the bus for the 1.5-hour journey to Kathmandu. 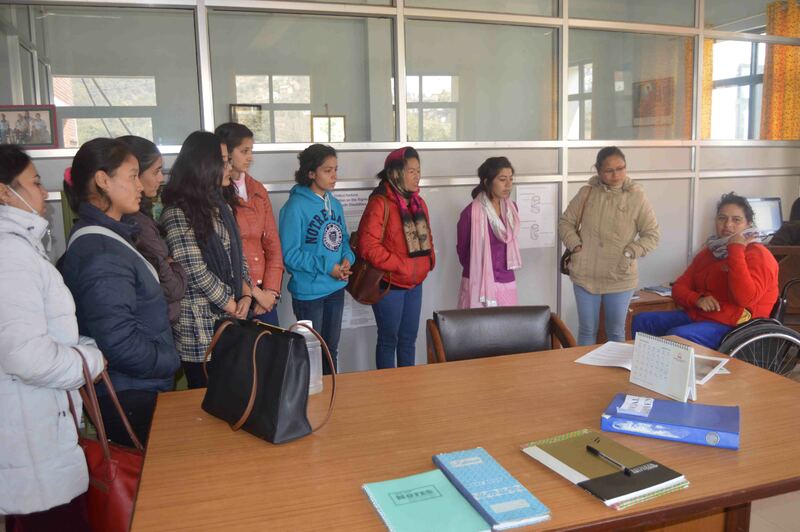 BMKF has afforded scholarships to five young women with disabilities and upon discussion, it was discovered two BMKF alumni had received treatment at SIRC when it was located in Jorpati, Kathmandu. Small world eh? And another interesting point, a few had heard of Esha and her role as Executive Director before the visit was arranged. They were pretty excited to meet her in the flesh. Clearly Esha’s fame (or is that infamy) goes before her! By all accounts, the visit was a great success. I asked Sabita for her thoughts and what most impressed her at SIRC. It was gratifying to hear the quality of management and the leadership at SIRC was the highlight for her, along with the breadth of rehabilitation provided at the facility including the vocational training component which she felt was hugely important to the financial independence and future health of the patients (she’s so right!). She and those in the group with a medical background were also impressed with our plans to extend rehabilitation services to remote units in hard-hit places (by the earthquakes) in places such as Ramechaap and Dhading. I guess they are keeping their eye on potential employment opportunities! 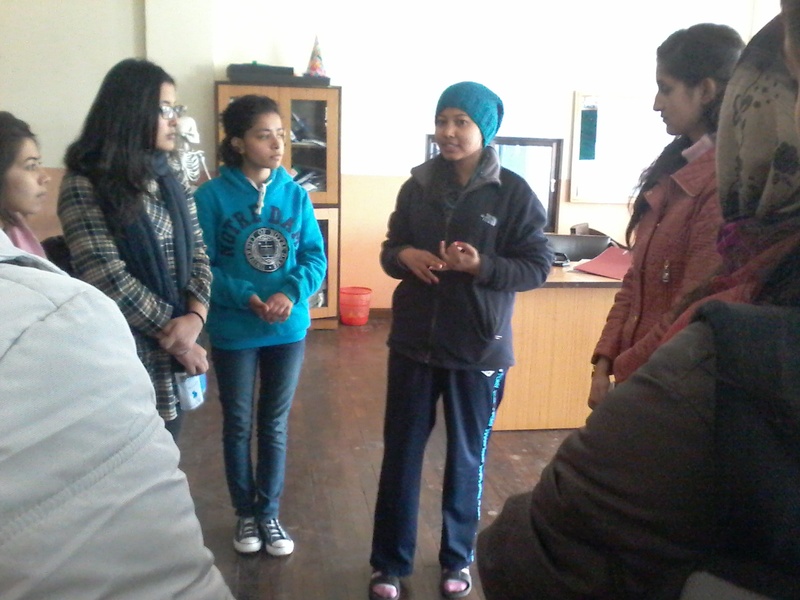 As the group visited the occupational therapy and vocational training areas, they met up with and were inspired by Sonika’s story. Sonika Dhakal is an ex-patient of SIRC and was injured as a result of a fall from a ping (bamboo swing). She is one of our more experienced Peer Counsellors and does an excellent job with newly injured patients. Sonika helped them see the value of grasping opportunities when they present themselves, and no matter how hard it gets or what life throws at you, persevere. Moving words for sure. Life has not come easy for many of the BMKF scholarship recipients, their lives are not as privileged as certainly mine was, so I am sure Sonika’s story hit very close to home. I am confident meeting Sonika reinforced their optimism for this opportunity BMKF has afforded them. Yesterday, Esha said she was really pleased the group could come visit SIRC. She’s had a challenging year herself with the huge responsibility SIRC and her team had to take on as a result of last year’s earthquakes. But she felt a renewed sense of optimism and focus after meeting these young ladies. It’s sometimes good to be reminded of what is good in our own lives, isn’t it? And the joy we can get from coaching and mentoring those around us. It’s a pity neither Sonnia or I could be there for the visit. But maybe it was just as well as we might have changed the synergy between the two groups had we been there. We’ll have to get Sonnia out for a visit next time she is in Nepal though, that’s for sure. It’s been great to connect these two distinguished organizations; I’m hoping we can find a way to collaborate some more in the future.